This is the first big kids’ movie release of the year, and it’s one that parents and kids alike are going to love. With a heavy dose of nostalgia for parents who grew up in the 1980s to early 2000s, The Kid Who Would Be King draws on classics like The Goonies and The Neverending Story, but also The Lord of the Rings series and Harry Potter. The Kid Who Would Be King even references classics like Harry Potter and an earlier Disney movie, The Sword and the Stone. 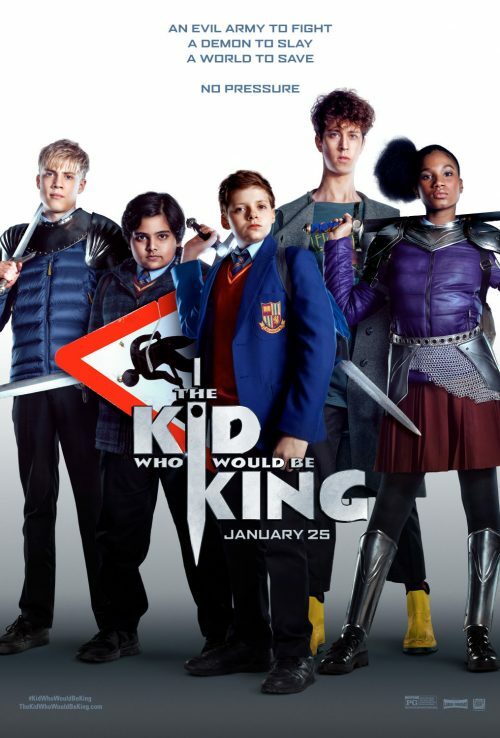 The Kid Who Would Be King is a very modern update on the Arthurian legend of Excalibur. You may recall from childhood that Excalibur is a famous sword lodged in a stone. Only the true descendant of King Arthur can extract the sword from its rocky stronghold. Alex (Louis Ashbourne Serkis, son of acclaimed director Andy Serkis) and his best friend Bedders (Dean Chaumoo) are in disbelief when they stumble upon a sword lodged in a block of cement in an abandoned construction site. Alex is able to pull the sword from its rocky bed. A Latin inscription on the sword indicates that it is for King Arthur’s descendant. Could this sword really be Excalibur? The boys laugh it off. But their suspicion is quickly proved a reality when the evil sorceress Morgana unleashes her minions, a fiery dark army on horseback. At the same time, a scrawny quirky teen pays the boys a visit: he’s Merlin the wizard, in a youthful form that is both humorous and memorable. Expect the unexpected in this wonderful and epic children’s movie that Common Sense Media awarded its “Great for Families” seal. What this wonderful and well-done production shows is kid power: they can dream big and accomplish anything they put their minds to, especially if they work as a team. 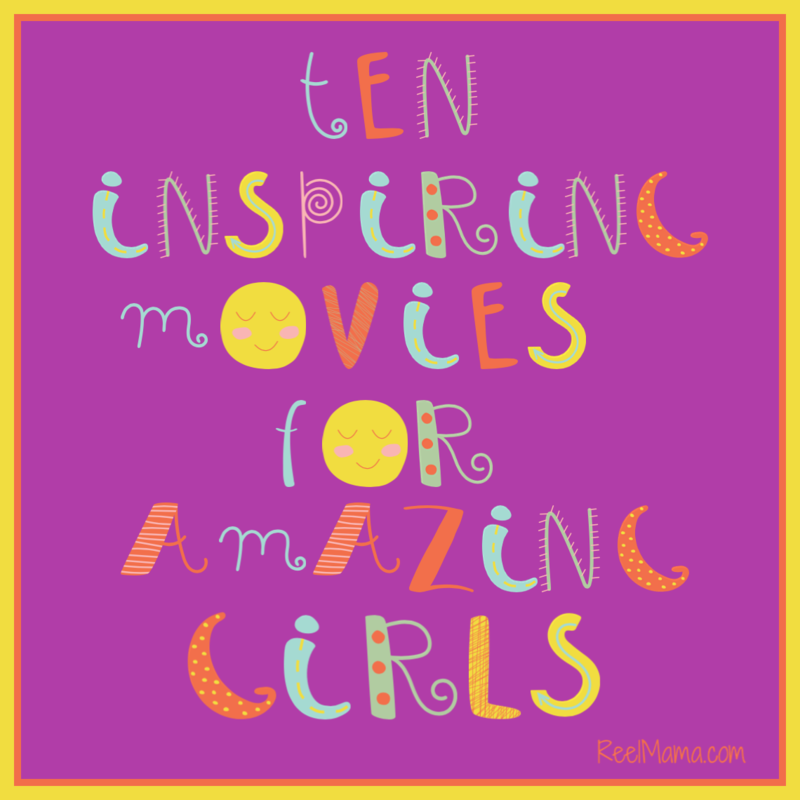 There is a lot to love about this movie. It addresses bullying head on, and in a delightful twist, Alex actually manages to befriend the bullies. It’s a coming-of-age movie, in that 12-year-old Alex has to accept a hard truth about his family. He also forms the most meaningful friendships of his life, and he learns how to be a leader. The strong message that kids should believe in themselves is so welcome in an age when there are so many forces at work in society to undermine their confidence and sense of identity. My family will be lining up to see this one again soon. Don’t miss it.